The environment has been an issue of increasing importance to businesses over the last couple of decades, with more and more focus on how to minimise waste and ensure that staff all take responsibility for keeping carbon footprints to a minimum. 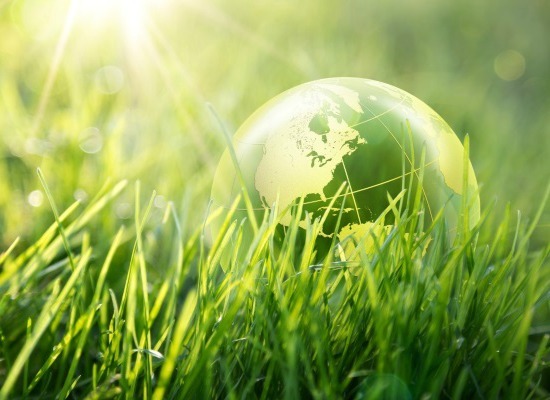 Many businesses have recognised that environmental awareness can also save them money, so although some green initiatives require a financial investment, these can often be offset by long- term savings. By reducing the amount of resources used in the first place, organisations can save time and money as well as improving their levels of corporate social responsibility. For some companies, the secret to going green is to use new technology to replace make some of the essential functions of their business more efficient and environmentally friendly. For example, if you need to maintain a constant temperature within your workspace, air curtains can be used to target areas where specific temperatures are required in an efficient manner. For many businesses, there are plenty of changes that could be made to minimise their impact on the environment, from small, short-term initiatives like including recycling boxes in offices to longer term changes such as changing working practices to minimise their carbon footprint. More ideas on the various ways to improve your environmental credentials can be found on Macair’s ‘Environmental Advice for Business’ page. Office spaces in the UK are responsible for around 25% of all waste, so any effort to improve their green credentials can make a huge difference to the country’s overall environmental impact. Businesses which use a lot of paper could save 17 trees, hundreds of gallons of oil, 4,000 kilowatts of energy and several thousand gallons of water, just by recycling a tonne of paper. Medium-term ideas which could make a company greener include investing in better quality equipment which will last longer and be more efficient when in use. If you can replace such items less frequently, then you can reduce the amount of waste you send to landfill and increase your output without a concomitant increase in your energy consumption. A company which is keen to be green and wants to save money along the way could consider investing in renewable energy to power their operation. Because the government has committed to reducing the UK’s carbon emissions by 80% before 2050, there are certain incentives for businesses which want to reduce their reliance on fossil fuels. For instance, installing solar panels could enable you to produce enough energy to power your business and maybe even an excess which you can sell for a profit, and you might qualify for a feed- in tariff which will allow you to reduce the upfront costs of the installation. It works by paying businesses for the energy that they use as well as the excess that is not used, meaning that your energy is free, so you can also drastically reduce your energy bills. Some businesses can earn as much as £14,000 over 20 years of using solar panels, and the money you receive on a feed-in tariff is tax-free, making it an incredible opportunity to improve your finances and your eco credentials in one. You can learn more about the government scheme on ‘Feed-in Tariffs: get money for generating your own electricity‘. Incorporating your environmental action plan into your working practices and business philosophy is often the best way to ensure that those who need to be are on board with the efforts you are making. This is easier in some industries than others, but buy-in from all the relevant stakeholders can make the difference between success and failure, especially in larger corporations. Many organisations offer incentive schemes to employees for helping to reduce their environmental impact which can be an effective way to improve the take up of such initiatives. Appointing ‘green ambassadors’ to identify ways to reduce waste or improve efficiency can also be an effective method of rolling out an environmental policy amongst the wider workforce. The financial benefits of going green can also motivate businesses which might otherwise find it hard to prioritise environmental issues. Educating staff about the costs of inefficiency and how they could increase profits and therefore improve their own prospects can also have a galvanising effect on a workforce’s willingness to make changes in their own working practices in order to benefit the environment. For more information about the savings which can be made by being environmentally friendly, ‘Environmentally-friendly business is profitable business‘ has some interesting data about big businesses which have gone green.